The Keystone XL pipeline may be in political limbo, but that hasn’t stopped another Canadian company from quietly pressing ahead on a pipeline project that will ramp up the volume of tar sands oil transported through the U.S. What’s more, the company, Enbridge, is making those changes without a permit, and environmental groups say it is flouting the law. 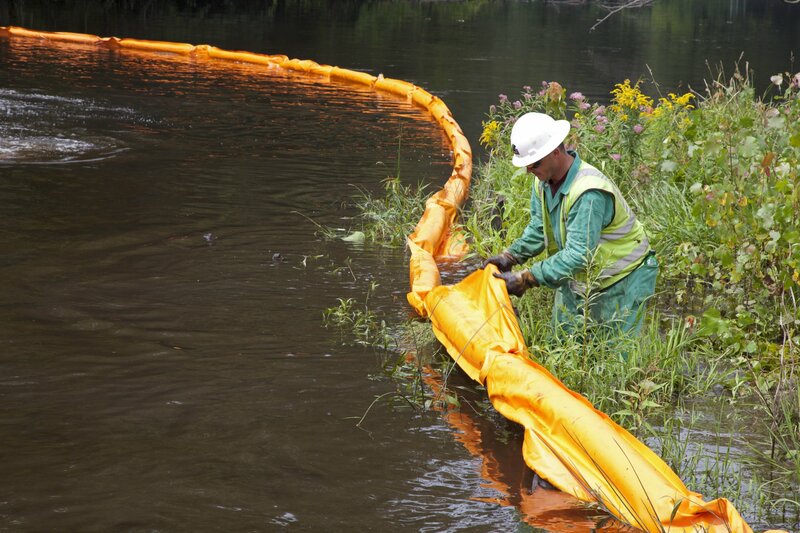 Calgary, Alberta-based Enbridge is the same company that spilled more than 1 million gallons of thick, sticky tar sands crude into the Kalamazoo River in Michigan in 2010. The spill was the largest of its kind in the U.S. and took four years to clean up. Enbridge applied for a State Department permit two years ago for its latest project: a bid to increase the capacity of its “Alberta Clipper” pipeline from 450,000 to 800,000 barrels of tar sands crude per day. The Clipper crosses the border from Canada into the U.S. in North Dakota, so a presidential permit from the department would be required by law. But, frustrated with the lengthy approval process, Enbridge engineered a work-around that appears to get the job done—without a permit. By running a connection between two parallel Enbridge pipelines right on the border with the U.S., the company will be able to swap the contents of each. As the crude approaches the border with Canada in the Alberta Clipper pipeline, it will be diverted into the parallel Line 3 pipeline, recently replaced with new pipe for the purpose, and swapped back into the Clipper once it reaches the U.S. Enbridge tells Newsweek it began pumping oil through the swapped section at the beginning of November. It’s a slick move that is projected to increase capacity to 570,000 barrels per day, taking advantage of unused capacity on Line 3. But by the middle of next year, Enbridge attorney David Coburn tells The Washington Spectator, the pipeline will transport 800,000 barrels per day of Canadian tar sands oil into the U.S. with “no additional permit,” by adding new pumping stations to push more crude through the existing pipe. By comparison, the much-contested Keystone XL pipeline is projected to move 830,000 barrels per day. Enbridge refers to the line-switching move as “temporary interconnections” while it awaits the State Department’s review of its original expansion application. But in an email to Newsweek, Enbridge spokesman Graham White says the work-around will be permanent if the State Department does not approve the application. In short, Enbridge found a way to increase its capacity just as much without a permit as it would have with one, and the State Department doesn’t mind. In a June letter to the State Department, Enbridge’s lawyer made clear its intention to press ahead with the plan without the presidential permit. The next month, State Department staff member Patrick Dunn said in a letter to Enbridge that the work-around did not legally require federal authorization. The State Department declined Newsweek’s request for an interview with Dunn, whose position is not available on the department’s website but who is identified in a February letter obtained by DeSmog Blog as a deputy director at the Bureau of Energy Affairs. In 1997, Dunn graduated from a training program at the Petroleum Equipment Suppliers Association (PESA), a prominent industry group. PESA’s Foreign Service Officer Energy Industry Training Program is funded in part by the State Department. Environmental and Native American groups claim Enbridge’s move is illegal, and are suing the State Department for violating the National Environmental Policy Act (NEPA) and its own regulations by approving the work-around with neither a permit nor an environmental assessment. 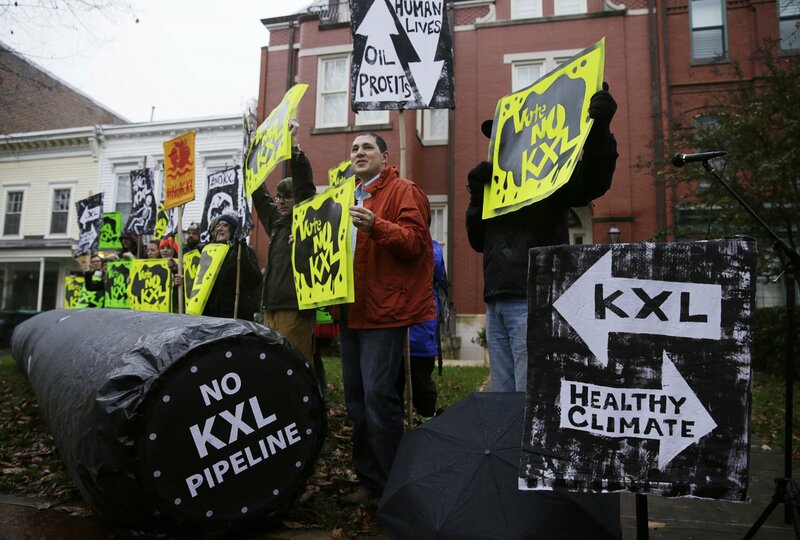 In the midst of a highly publicized struggle over the Keystone XL pipeline, Enbridge would be wise to keep a low profile in its pursuits, and it appears to have worked, says Doug Hayes, a staff attorney at the Sierra Club who is also involved in the suit. 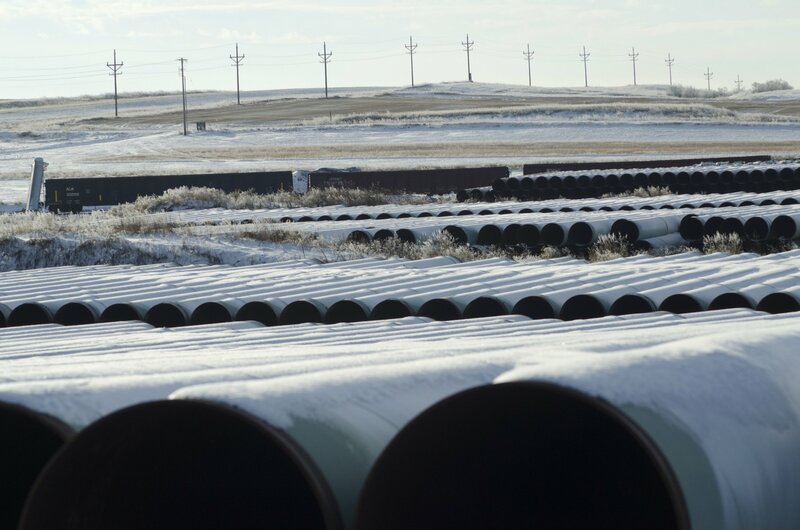 The fight over the Alberta Clipper has barely made a ripple in the national press, perhaps because the minutiae of a legal battle over an adjustment to an already-existing pipeline is harder to digest than a plan for a brand-new pipeline like Keystone, he says. Unless the legal challenge is successful, it appears Enbridge will meet its goals without the public upheaval that has marked TransCanada’s Keystone XL efforts. Unlike Keystone XL, which would create several thousand temporary construction jobs (though only 35 permanent ones after one or two years of construction dry up), there are few or no job creation prospects from Enbridge’s small border-crossing project. Even if some Americans got temporary work, construction is already over. So could the U.S. at least stand to gain tax revenue from Enbridge’s expansion? “Accordingly, they do not, as an entity, pay federal income taxes. This allows for a higher potential cash flow payout to unitholders." Tax is paid by the unit holders. How much Enbridge’s taxes on the Alberta Clipper will decrease remains to be determined, according to White, Enbridge’s spokesman, but “it will be consistent with all laws and regulations,” he says. Enbridge does not pay taxes or fees per barrel of oil it transports, but increasing the flow does increase Enbridge’s profits, so the U.S. will see some additional tax revenue on whatever part of its profits, if any, are still taxable. The Alberta Clipper begins in Alberta, crosses the Canadian border into North Dakota and continues for 327 miles to Superior, Wisconsin, crossing Minnesota along the way. The oil would be stored in holding tanks before flowing to Cushing, Oklahoma, and then to the Gulf Coast for refining and export, as determined by shippers and refineries. Alexandra Klass, a professor at the University of Minnesota Law School, told Inside Climate News that Enbridge’s strategy isn’t surprising. "This happens in environmental reviews all the time. You seek approval for smaller pieces, which on their own don’t seem like they’ll have a big environmental impact. But considered cumulatively, they do." For Winona LaDuke, a prominent Native American activist from the White Earth Ojibwe tribe of northwestern Minnesota, the State Department’s Alberta Clipper decision amounts to a violation of several long-standing treaties between tribes and the U.S. government. “All of the tribes in Minnesota have their own treaty areas. Those are all traversed by these pipelines. The Supreme Court upheld our rights to fish, harvest and live within those treaty areas. The Clipper traverses one of our best rice harvest areas. The federal government is required to consult with us on a nation-to-nation basis. With Keystone, the State Department asked to consult with the tribes. But in this case, the State Department didn’t even uphold the need to,” LaDuke says. LaDuke’s tribe and dozens of other Minnesota tribes are fighting not only the Alberta Clipper, but two other major Enbridge pipelines that cross over Native territories. Enbridge’s track record of more than 800 spills between 1990 and 2010, according to the company’s own records as compiled by the National Wildlife Federation, make harm almost inevitable for the tribal land in the pipeline’s path, she says.